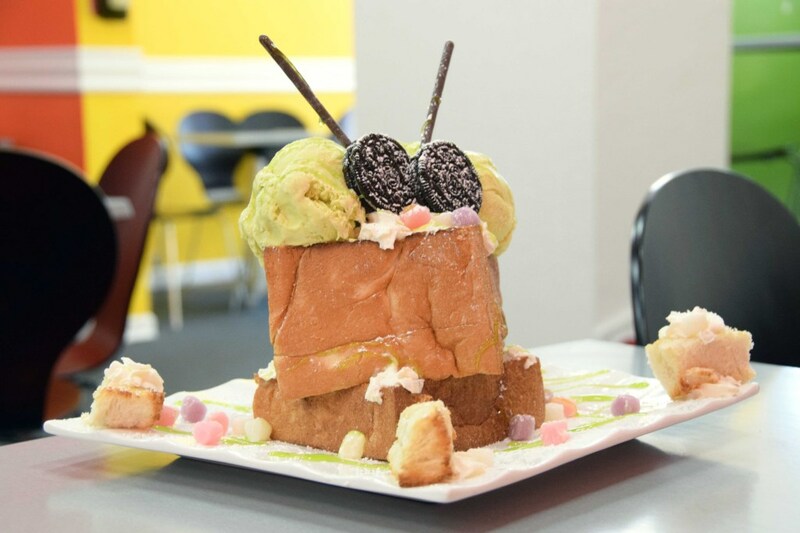 This is better than a brick toast. My roommate is so obsessed with Bobo’s that it’s become a thing for us to hit Shattuck at 10pm just to get a toast box. I was on a mission to recreate it at home, so we could satisfy our late night sugar cravings while in our pjs and watching cheesy rom-coms. 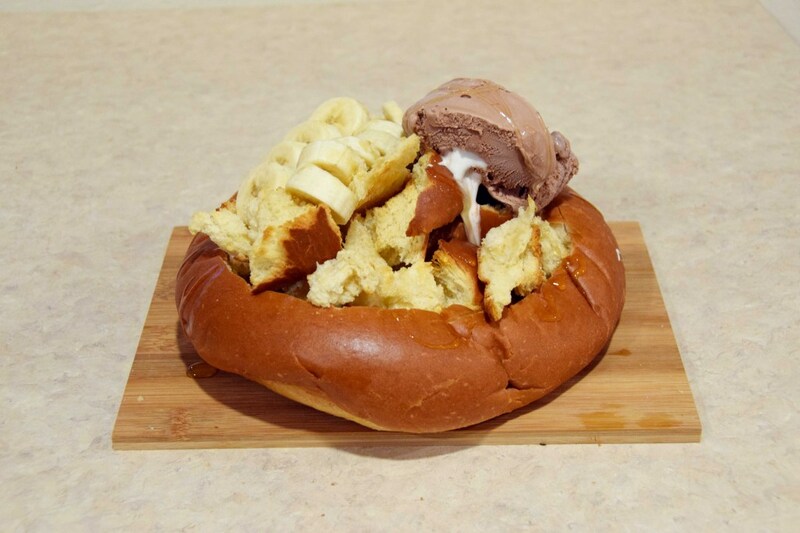 My next thought was: “How do I take that irresistible brick toast to the next level?” Inspired by the staple that is the San Franciscan bread bowl and my weekend brunch of French toast, I present to you– the ultimate dessert bread bowl. 1. 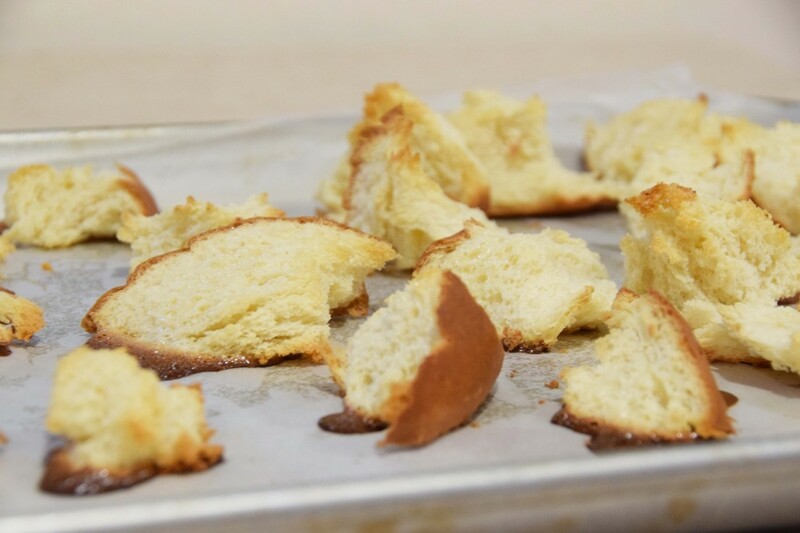 Preheat oven to 375ºF, and you’re ready to make something that’s better than a toast box. 2. 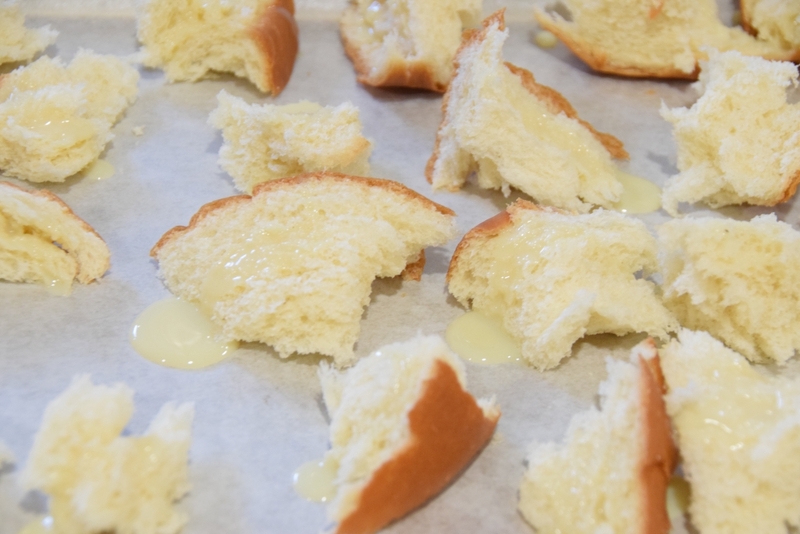 Cut out the top part of the challah bread. Now you have a bread bowl! 3. Cut top part into smaller pieces. 4. 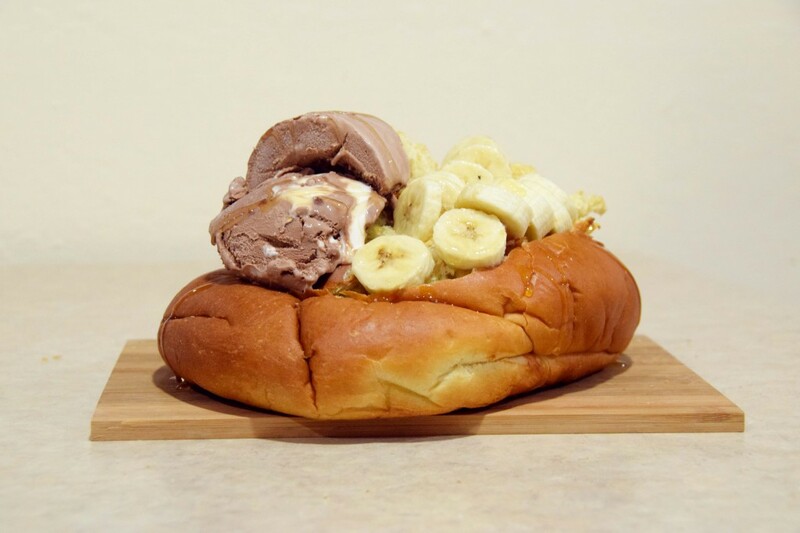 Drizzle condensed milk on bread bowl and on one side of each smaller piece of bread. 5. 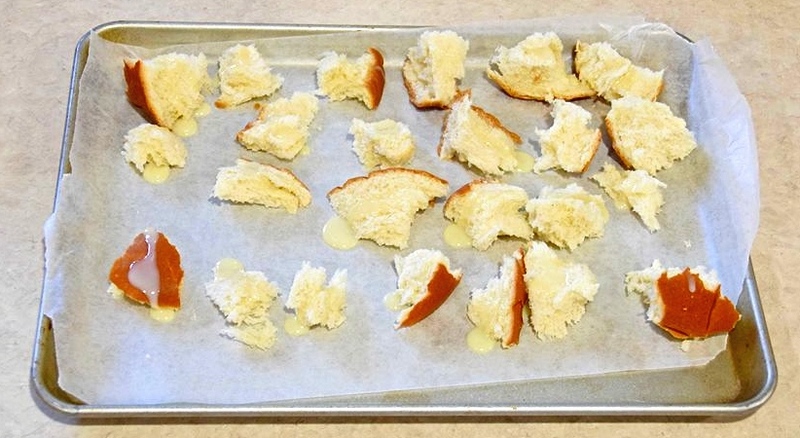 Toast all bread in the oven for 10 minutes. 6. 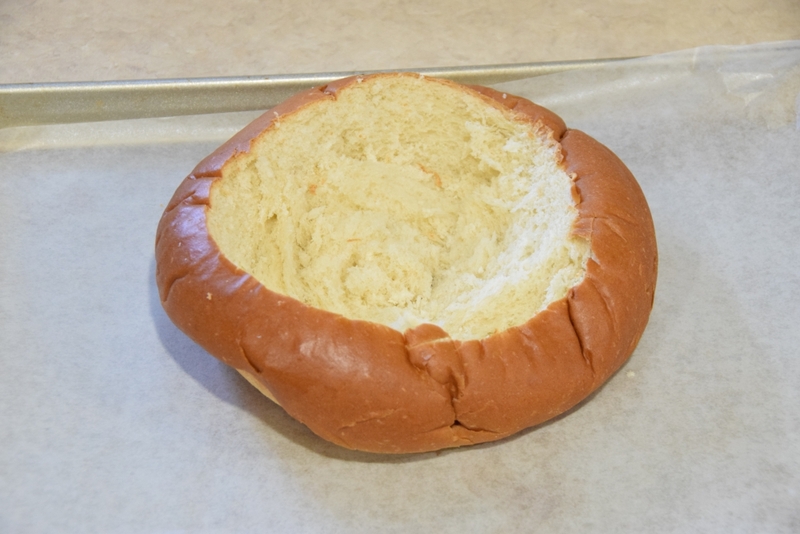 Arrange smaller pieces in bread bowl. 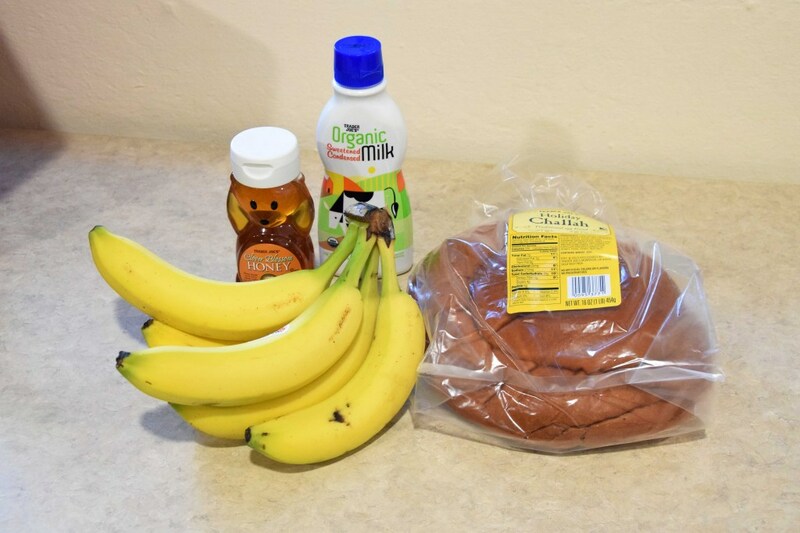 Add sliced bananas, ice cream and honey on top.